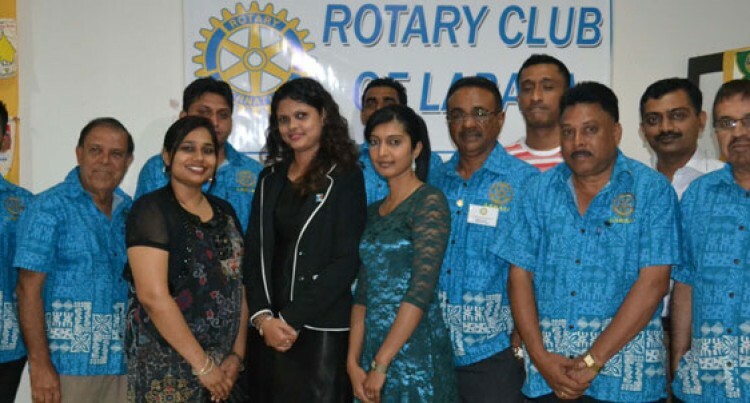 The Rotary Club of Labasa inducted its newest member into the club on Wednesday night at the Takia Hotel. The new member, Dr Monita Adip, said she was very delighted and happy to be part of such an organisation. “Being part of something that is worthy and giving back to the community is what I’ve always wanted,” Dr Adip said. “With me being a doctor I hope to work very closely with the club towards their community outreaches,” she said. “With help from the club I will be promoting health through community outreaches and focusing on people at grassroots level” she said. The club’s chairman, Ami Kohli said that the club was grateful with the new member on board. “We are indeed honoured to have a person with a medical profession on board. It will really boost our service to the people of Labasa and the community as a whole” he said. “The club has been involved in a number of projects around Labasa including the Babasiga Ashram,” Mr Kohli said. Meanwhile, the club will meet again next week with club members from Savusavu.